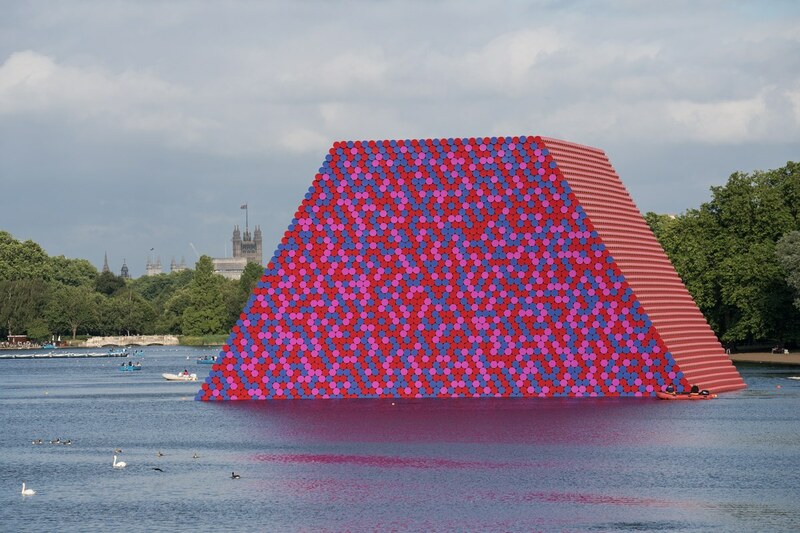 The London Mastaba is the first major outdoor public work by Christo in the UK, and it coincides with an exhibition at the Serpentine Gallery of Christo and his late wife Jeanne–Claude’s work, Christo and Jeanne-Claude: Barrels and The Mastaba 1958–2018. The London Mastaba consists of 7,506 horizontally stacked barrels on a floating platform, 20m in height, 30m wide x 40m long. Standard 55 gallon barrels were fabricated and painted for the sculpture. 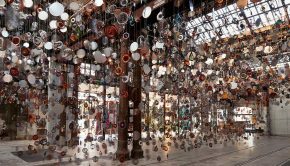 The sides of the barrels, visible on the top and on the two slanted walls of the sculpture, are red and white. Shouldn’t be this “Monument” originaly established in the dessert of Dubai?